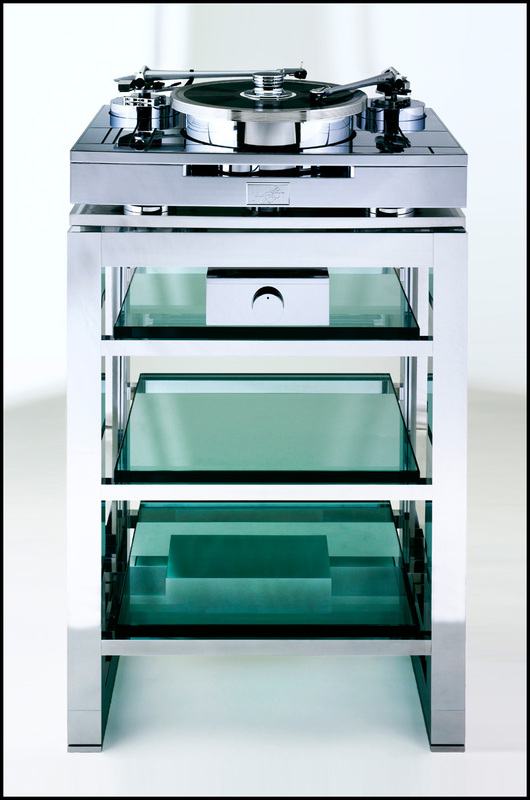 This review first appeared in the February 2010 issue of hi-end hifi magazine High Fidelity of Poland. You can also read this review of the Sovereign Glory in its original Polish version. We publish its English translation in a mutual syndication arrangement with publisher Wojciech Pacula. As is customary for our own reviews, the writer's signature at review's end shows an e-mail address should you have questions or wish to send feedback. All images contained in this review are the property of High Fidelity or Bergmann Audio - Ed. Thomas Höhne is a man of many talents. As you can read in my interview with him during the Aaron No.1.a review, his main two interests are flying and audio. Thomas owns two brands, Aaron and the ultra hi-end very rarely reviewed Sovereign. The latter is something very special because it deals only in ultimately finished and polished items. Under this brand a Höhne amplifier once garnered an entry in the Guinness Book of Records as "the largest audio amplifier in the world". Today’s Glory has more classical dimensions in line with my Luxman M-800A which made comparisons between those two very distinctively constructed machines extremely interesting. Sound: Discs used for testing - Charlie Haden & Antonio Forcione, Heartplay, Naim Label, Naim CD098, CD; Claudio Monteverdi, Scherzi Musicali, La Venexiana, Glosa, CCD 920915, CD; Criss Connor, I Miss You So, Atlantic/Universal Music Japan, WPCR-25172, CD; Danielsson/Dell/Landgren, Salzau Music On the Water, Act Music+Vision, ACT 9445-2, CD; De Vision, Void, WEA Records, 29705, CD; Dead Can Dance, Into the Labyrinth, 4AD/Warner Music Japan, Audiophile Edition, WPCB-10076, SACD/CD; Diary of Dreams, Bird without Wings, Accesion Records, A 005, CD; Frank Sinatra, My Way, Universal Music Japan, UICY-94368, SHM-CD; Hank Mobley, Soul Station, Blue Note/Audio Wave, AWMXR-0001, XRCD24; Kazumi Watanabe, Jazz Impression, east west, EWSA-1063, SACD/CD; Kings of Leon, Only by the Night, RCA/BMJ Japan, BVCP-40058, CD; Lars Danielsson & Leszek Możdżer, Pasodoble, ACT Music, ACT 9458-2, CD; Sonny Rollins, Way Out West, Contemporary/JVC, VICJ-60088, XRCD; The Montgomery Brothers, Groove Yard, Riverside/JVC, JVCXR-0018-2, XRCD. Like every high-quality amplifier, the Sovereign glued me to the loudspeakers like a traveler feels glued to a bottle of water. A machine sized similarly to my M-800A Luxman but of higher output power, it activated search mode. I listened to disc after disc, picking through them by associative thinking. When for example I heard a nice double bass with Hank Mobley’s Soul Station on a newly re-mastered XRCD24, I immediately wanted to check how Lars Danielsson’s contrabass would sound on Pasodoble, recorded together with Leszek Możdżer. And how would electronica respond? Enter De Vision’s Void, thereafter the far better recorded but older Bird without Wings by Diary of Dreams – just to mention a few examples and convey some emotions I had during this review. The first question I ask myself whenever testing a high-class amplifier is, "does X outperform my Luxman?" Because only then I can ask what is better/worse, what is different/the same and relate that to other devices which I also compared to the Luxman. In this case the answer was quite simple – yes, the Glory was better than the M-800A. Did I like it? Absolutely! Would I trade for it? Not really. This is deceptive. The German amplifier sounds quite similar to the Luxman although many aspects are somewhat different. The tonal balance is splendid and the design favors an incredible cleanliness of sound. I mentioned Pasodoble with Możdżer’s fantastic piano playing. The instrument had an outstanding upper range and was exceptionally vivid, clean and dynamic. Although the Sovereign is not a romantic amplifier like the slightly warmer Luxman, it is not bright in the common sense. Brighter for example are the integrated Aaron No.1.a from the same hands; and the EVO402 Krell. An even stronger treble can be found in the A-65 Accuphase. But I still wouldn’t call any of those designs bright. It’s because their treble energy is high that a lot happens in that band. The Glory is very balanced and does not fear the upper registers nor hides anything. When cymbals hit, they are strong, brilliantly articulated and nicely weighty. They are not as saturated as with the M-8000 but their attacks are better, their dynamics superior and their impulsiveness is better differentiated. That makes the sound open and strong for probably the correct tonal balance. I perfectly remember the Silver Grand monoblocks from Krakow-based Ancient Audio and the event dynamics were very similar to that what the Sovereign presented now. In contrast, the PAT-777 Reimyo, while using 300Bs as the Silver does, was far warmer and concentrated its attention more on the midrange. 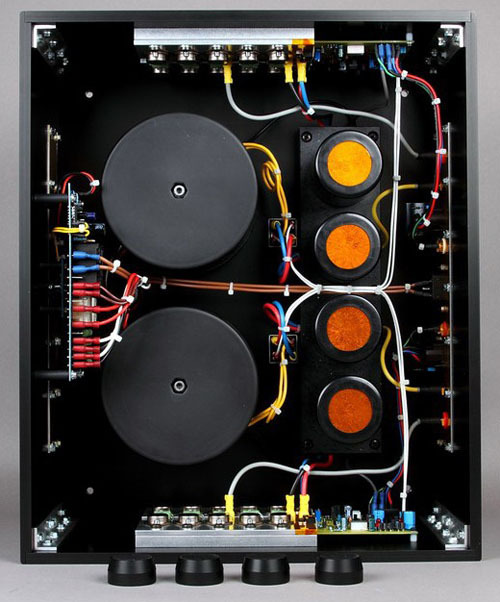 The review amplifier was more open and transparent.